The Philadelphia Baseball Review released its College Player of the Week awards for the period ending April 8. 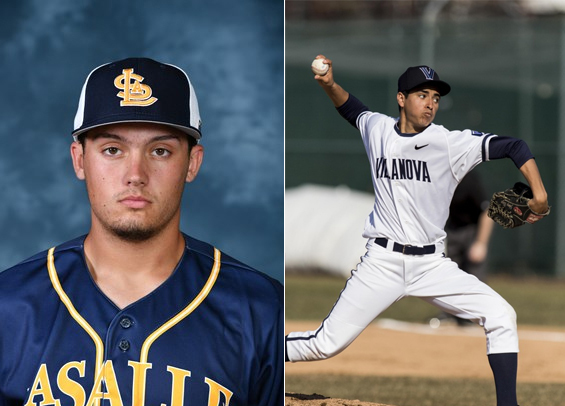 La Salle junior first baseman Ben Faso was named the Philadelphia Baseball Review's Hitter of the Week for the second consecutive time, while Villanova's junior right-handed pitcher Jonathan Rosero was named Philadelphia Baseball Review's Pitcher of the Week. Faso finished the week for the Explorers 8-for-17 (.471) with two runs scored and four RBIs including the game-winner in the ninth inning on Saturday's 1-0 win over Rutgers. He's hit safely now in 16 consecutive games. This is the third time Faso has won Player of the Week honors. Rosero tossed six strong innings for the Wildcats in a 2-1 loss to Penn. He scattered just three hits and surrendered one run, though it wasn't earned. He walked a pair and struck out seven.